It’s the start of a new week and I hope you all had a nice weekend. This week’s Classic Doctor Who review is the fourth final chapter of Doctor Who The War Machines and the end of season three. 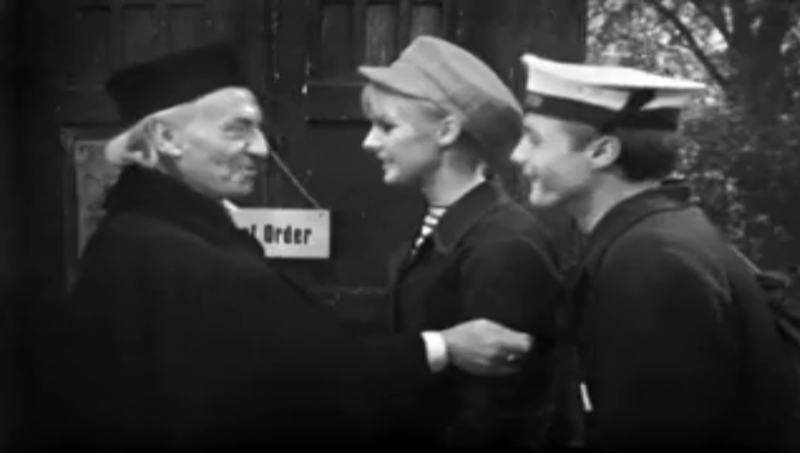 Part Four first aired July 16, 1966 and had 5.5 Million Viewers tune in, which is an increase of 200,000 from part two, meaning the third season of Doctor Who ended on an upswing, but lets remember the first episode of third season Galaxy 4 Part 1: Four Hundred Dawns had 9 Million Viewers… so over the course from September 1965 to July 1966, 3.5 Million people stopped watching. 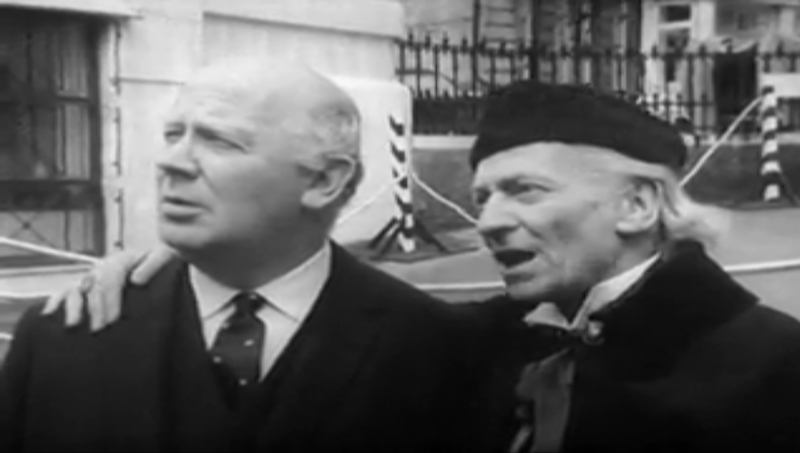 The episode opens with The Doctor standing his ground against the War Machine which stops moving when it’s radar dish falls off. Examining the device, The Doctors sees that it was not completed or finalized, and that it would be nearly unstoppable based on what was shown in part three with how it neutralized the mechanical components of the military’s guns and grenades, and so it’s a race against time to find and destroy the other War Machines before they are fully operational. During this, the Doctor drops the TARDIS key which Ben picks up but doesn’t get a chance to return it as the Doctor decoded the machine and determines there are a dozen other such devices within London ready to attack at midday. Major Green is also recovered but he doesn’t know what is going on, as the hypnosis of WOTAN had over him has faded but at the same time another War Machine is on the loose and is headed to the Battersea Power Station. 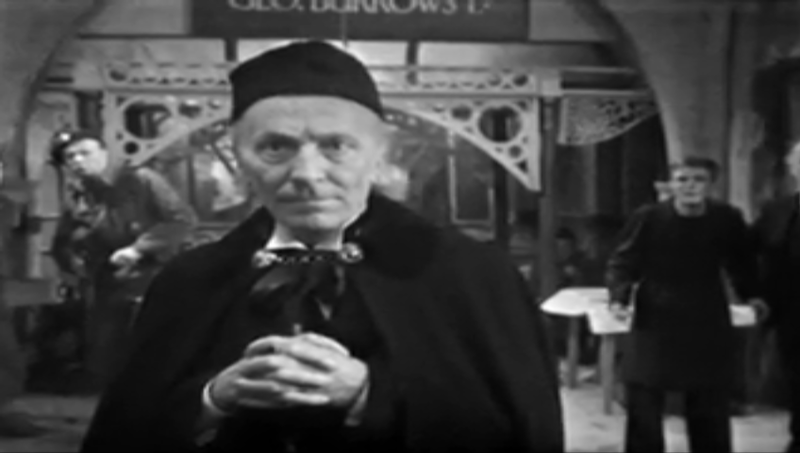 The Doctor suggests that they capture it by using elector-magnets to neutralize it, this course of action is successful with Ben connecting a key final cable to spring the trap, allowing the Doctor to examine and reprogram the machine which heads to where this whole mess started: The Post Office Tower. Should be noted that Ben during the episode worried about Polly but the Doctor tells him that if he just worries about only one person then nothing will get done with the danger at hand, but since Polly saved him in part three, Ben feels like he owes her big time and he rushes off in hopes of getting to the Post Office Tower first to rescue her. Speaking of Polly, she enters Professor Brett’s lab and wants to be judged by WOTAN for letting Ben escape, but is denied because her help is needed with the task at hand of getting the remaining War Machines ready for deployment. Ben arrives, grabs Polly and drags her out just at the reprogrammed War Machine arrives which destroys WOTAN, and thus the day is saved. 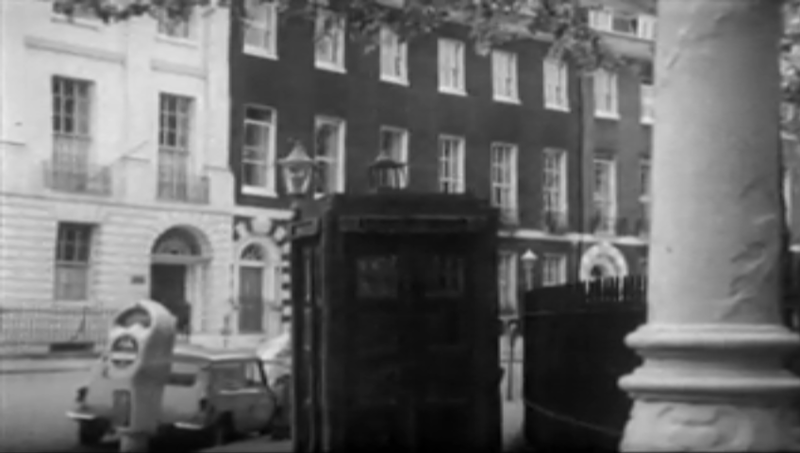 The story and season ends with The Doctor returning to the TARDIS and waiting for Dodo as Polly and Ben inform him that Dodo wants to stay in London, much to the Doctor’s surprise. They say their good-byes, but Ben remembers the key he forgot to return and he and Polly end up entering the TARDIS after the Doctor and it de-materializes with two new passengers. The final chapter of the War Machines is very straight forward in terms of showing the Doctor coming up with a plan to deal with WOTAN, and capturing one of its field units and turning it against its master works perfectly and avoids a possibility of having The Doctor talk WOTAN to death. There are some great moments during this with Ben volunteering to do a task the Doctor intends to do because he’s a younger more fit man, again establishing Ben as the ‘man of action’ . Sadly Polly is really not herself until the very end of the episode, so her character personality while decently established early on in parts 1 and 2, is left kind of hanging… and I’m not a fan with the off-screen departure of Dodo, it really is a back-handed way of writing off a character.